The economic downturn that had many people go out of job is now finally showing signs of fading away. Hiring has also picked up in high attrition sectors like finance and accounting. If you are looking for a career it is better to hone up your skills. Here are some courses that will make you job ready in accounting and finance. Accounting and finance offer highly rewarding career opportunities. However, not everyone can carve a career in these fields as it requires a lot of specialized skills and expertise that has to be developed over time with a lot of hard work and intelligence. A love for number crunching exercises and mathematical aptitude is the least of all that makes for a successful career. For a layman, a role in finance may be limited to the management of money and accounting could be just recording of transactions. However, there is much more to both of these. There are a variety of roles and different skills that are required to run these roles effectively. Accounting and finance professionals are required in every type and scale of organization. These departments are a very vital part of a company where professionals decide on the financial implications of every decision and the plan strategies that will help the business grow. Since candidates assume roles that have immense significance and responsibility towards the company, therefore recruiters hire candidates those who have got the right mix of skills, attitude, experience and education. For fresher’s, it all boils down to the right kind of skills and education to make a breakthrough. Undoubtedly, the competition is immense and therefore for gaining entry just pursuing a degree in commerce or economics is not enough anymore. Undeniably, this is the most popular and also the toughest accounting certification out there right now. Successful completion rewards in the form of a challenging and exciting career laden with six figure salaries and great responsibilities. Every country has a national level accounting association that certifies and regulates the accountancy professionals of that country. Chartered accountancy is a course that has optimum blend of theory and practical education. The duration varies from three years to more and there are a number of exams that the candidate needs to pass as a part of the certification. 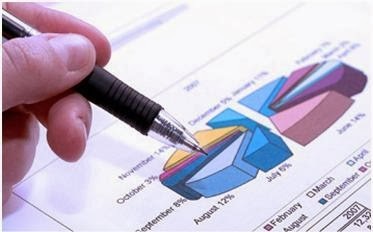 Cost accounting involves collecting, analyzing, summarizing data to asess the company’s cost of production. It is a vital component of every business as the ability to increase margins by decreasing production costs is a key to gaining competitive edge over others. Getting the maximum out of minimum cost input is what is fundamentally taught in cost accounting. In India, the Institute of Cost Accountants of India is the statutory body that certifies and runs this certification course. One of the most valuable parts of every organization, Chartered Financial Analysts provide analytical and insightful opinions for making decisions related to investing of funds so as to get maximum returns. CFA certification course is highly sought after in the industry as it equips the candidate with the fundamental accounting standards and educates in essential procedures, business practices and economic policies amongst others. The career as CFA is also amongst the highest paid and therefore the competition to get into this industry is quite tough. You must have a graduation degree in order to successfully pursue a course in CFA. In addition to these professional courses, one can also pursue short term Tally courses to gain expertise in it. Tally the vendor of this ERP, and accounting software conducts a number of short term certification for different modules. The software is a popular and offers a number of entry level job opportunities. Learning the latest version of the software Tally.ERP 9 is a good way of making sure you get a chance at some of the best employment opportunities in finance and accounting. Saurabh Tyagi is a new media enthusiast with professional experience as a blogger. He keeps an eye on the top employment trends across the world and pens his thoughts for leading online publications on topics related to career, technology, education and various IT institutes like Aptech computer education NIIT, IIJT, ECIT and many more.